New Delhi: Prime Minister Narendra Modi on Friday expressed deep shock and sadness over the death of scores of people in the heinous terrorist attack in New Zealand while stressing India’s strong condemnation of terrorism and of all those who support such acts of violence. In a letter to Prime Minister of New Zealand Jacinda Ardern, Modi also underscored India’s solidarity with the people of her country at this difficult time. 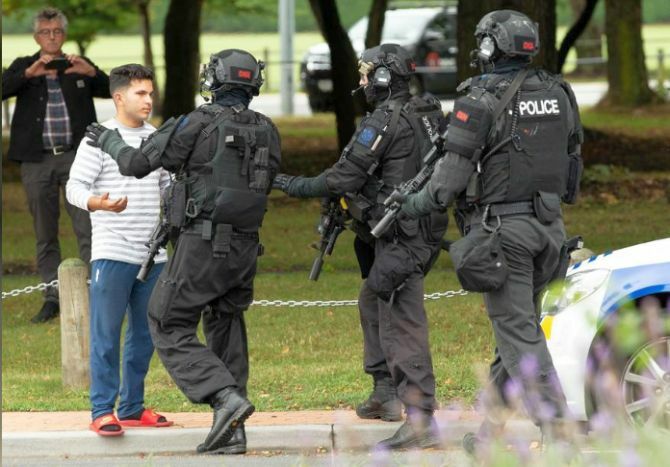 Mass shootings at two mosques full of worshippers attending Friday prayers killed at least 49 people in Christchurch, while several explosive devices were defused, in what appeared to be a carefully planned racist attack. “Prime Minister has expressed his deep shock and sadness at the loss of scores of innocent lives in the heinous terrorist attack at the places of worship in Christchurch,” the External Affairs Ministry said in an official release. “ The Prime Minister stressed India’s strong condemnation of terrorism in all its forms and manifestations, and of all those who support such acts of violence. He stressed that hatred and violence have no place in diverse and democratic societies. Modi also expressed his deepest condolences to the families bereaved in this dastardly attack, offered heartfelt prayers for the speedy recovery of the injured and underscored India’s solidarity with the friendly people of New Zealand at this difficult time.